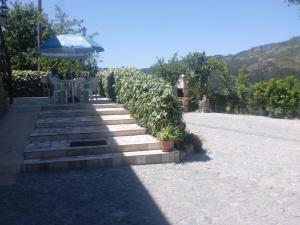 Charm GuestHouse Douro offers accommodation in Vila Nova de Gaia just a minute walk from the shore of the Douro River and the Port Wine Cellars. 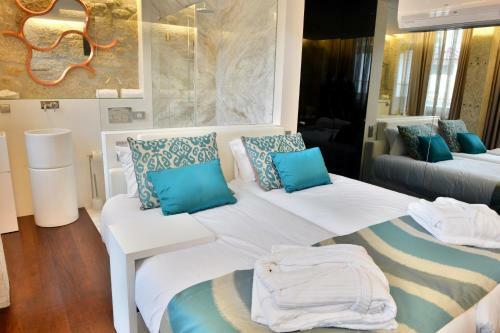 The rooms have a flat screen TV with satellite channels. Douro River Apartments price per day from € 42 Located across the river from Porto, Douro River Apartments occupies a renovated building overlooking the Douro River. 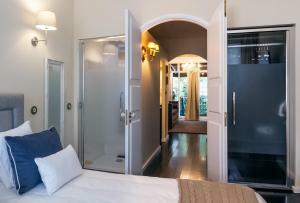 The apartments feature a flat-screen TV with cable channels and free Wi-Fi. 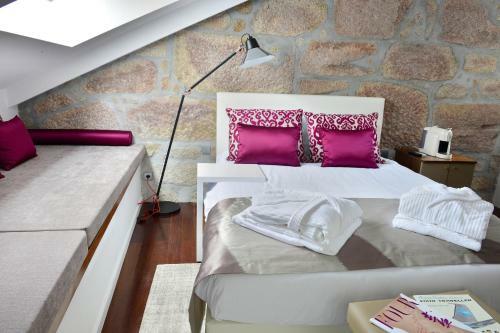 The apartments are located in the Ribeira de Gaia, a place with plenty of restaurants, cafes, next to the Port Wine cellars..
Groove-Wood Loft price per day from € 105 Featuring a terrace and free WiFi, Oporto's Loft offers modern self-catering accommodation in the port wine cellar area of Porto. 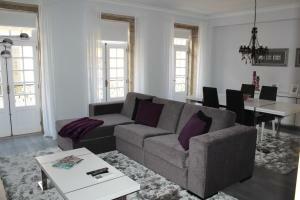 This air-conditioned apartment comes with a fully equipped kitchen, satellite flat-screen TV, and parquet floors. Apartment, 68 square meters . 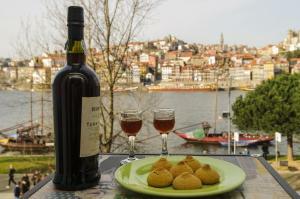 Reis de Gaia price per day from € 95 Reis de Gaia is located in Vila Nova de Gaia’s historical Douro riverfront, amidst the renowned Port Wine Cellars. Guests are welcome to cook their own meals in the kitchenette at their disposal. 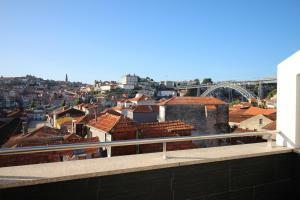 BmyGuest - Real Casta Apartment II Offering accommodation with air conditioning, BmyGuest - Real Casta Apartment II is situated in Vila Nova de Gaia, 200 metres from Port Wine Cellars. 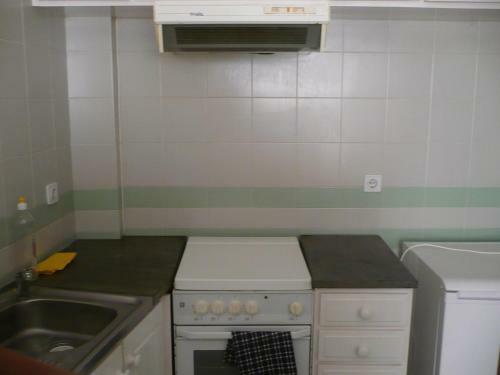 There is also a kitchenette, fitted with a dishwasher and oven. 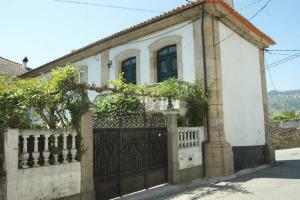 3 km from BmyGuest - Real Casta Apartment II, while Arrabida Shopping is 2. Town of Devesas (~0.1 km). 12+ apartments ! Town of Porto (~1.9 km). 604+ accommodation units ! 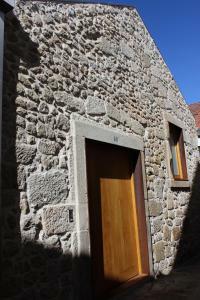 Town of Gondomar (~7.2 km). 4+ apartments ! Town of Matosinhos (~8.1 km). 42+ apartments, 6+ villas ! Town of Arcozelo (~9.2 km). 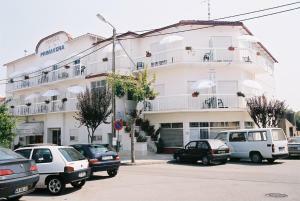 7+ apartments, 6+ villas !